The most technologically advanced concrete product machines on the market allow you to create a wide variety of concrete products at industry-leading cycle times. Our machines are engineered to produce high quality concrete products for every market. Find a machine that meets your production requirements. Our knowledgeable staff is ready to put you and your operation back on track with experience advice, expedited and industry-leading parts access. 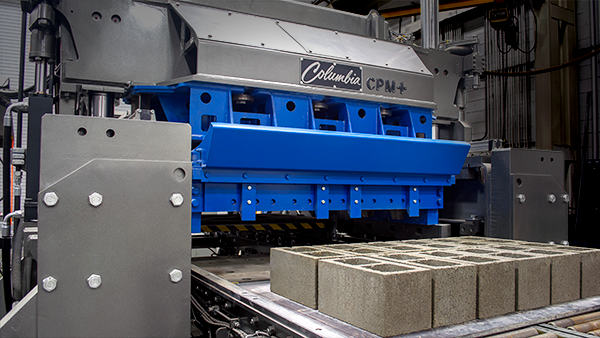 "We continue to invest in Columbia equipment because we firmly believe that Columbia produces the most accurate and consistent blocks on the market." Columbia's patented vibration technology, CVT, combines over 80 years of innovative engineering and field proven designs with industry leading manufacturing capabilities. 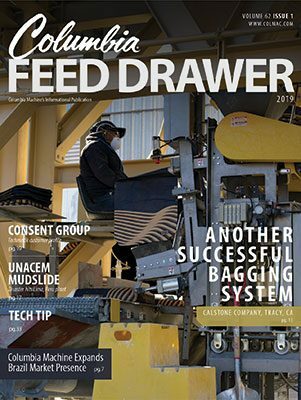 The CPM+ Concrete Products Machine design builds upon the success of the previous generation of the CPM series. The original CPM has been reliably operating in plants worldwide since 1995. 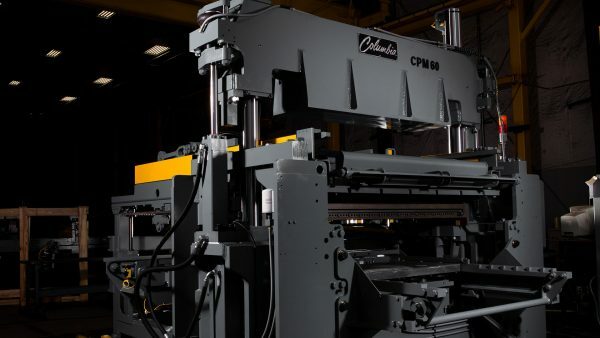 Over the years, Columbia Machine has seen changes in the industries we serve, putting increased demands upon production plants. The CPM+ is designed to meet those demands. Proven in the most demanding environments. 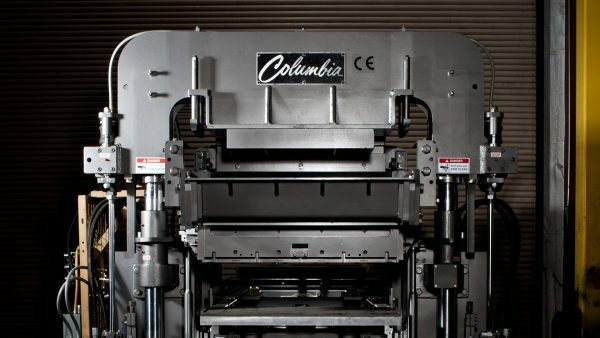 Columbia’s concrete products machines have earned a reputation for superior engineering, unparalleled performance and top-quality production. Our production machines employ field-proven technologies to deliver products unsurpassed in quality, accuracy and variety. Utilizing variable frequency drive direct mold vibration and smooth hydraulic movement, Columbia is the benchmark in the industry. These classic workhorses will produce industry-leading blocks for decades. Hardworking 4-6 block machines featuring vertical-only vibration to give you consistently superior products time after time. Our most technologically advanced production machine in a large pallet format. Standard Thickness: .47 - .63"
Columbia provides equipment for all aspects of a concrete products production plant. Take a virtual plant tour to learn more about the process.